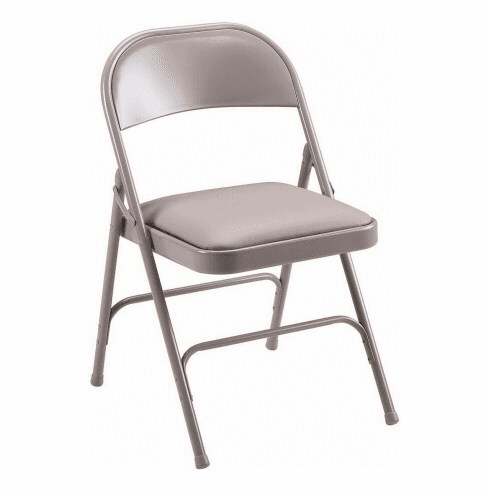 These metal folding chairs from Lorell feature matching beige vinyl upholstered padded seat for added comfort. Five year limited warranty from Lorell. This chair normally ships within 1-2 business days.